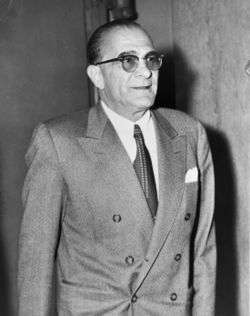 The family is named after Vito Genovese, who was boss from 1957–1969. New York City, New York, New Jersey, South Florida, Las Vegas. Made men (full members) are Italians or Italian-Americans. Criminals of other ethnicities are employed as "associates." Racketeering, Murder, Labour Unions, Extortion, Illegal Gambling, Loansharking, Bookmaking, Truck Hijacking, Prostitution, Fraud, Bribery, and Assault. The Genovese crime family (pronounced [dʒenoˈveːze]) is one of the "Five Families" that dominate organized crime activities in New York City as part of the Mafia (or Cosa Nostra). The Genovese crime family has been nicknamed the "Ivy League" and "Rolls Royce" of organized crime. They are rivaled in size only by the Gambino crime family and are unmatched in terms of power. They have generally maintained a varying degree of influence over many of the smaller mob families outside New York, including ties with the Philadelphia, Patriarca, and Buffalo crime families. The Genovese crime family is the most intelligent, sophisticated, crafty, logical, and the largest, of the "Five Families". Finding new ways to make money in the 21st century, the Genovese family took advantage of lax due diligence by banks during the housing spike with a wave of mortgage frauds. Prosecutors say loan shark victims obtained home equity loans to pay off debts to their mob bankers. The family found ways to use new technology to improve on illegal gambling, with customers placing bets through offshore sites via the Internet. The current "family" was founded by Lucky Luciano, but in 1957 it was renamed after boss Vito Genovese (from 1931 to 1957, it went by the "Luciano crime family"). Originally in control of the waterfront on the West Side of Manhattan and the Fulton Fish Market, the family was run for years by "the Oddfather", Vincent "the Chin" Gigante, who feigned insanity by shuffling unshaven through New York's Greenwich Village wearing a tattered bath robe and muttering to himself incoherently. Although the leadership of the Genovese family seemed to have been in limbo after the death of Gigante in 2005, they appear to be the most organized family and remain powerful. Unique in today's Mafia, the family has benefited greatly from members following the code of Omertà. While many mobsters from across the country have testified against their crime families since the 1980s, the Genovese family has only had six members turn state's evidence in its history. The Genovese crime family originated from the Morello gang of East Harlem, the first Mafia family in New York City. In 1892, Giuseppe Morello arrived in New York from the village of Corleone, Sicily. Morello's half brothers Nicholas, Vincenzo, Ciro and the rest of his family joined him in New York the following year. The Morello brothers formed the 107th Street Mob and began dominating the Italian neighborhood of East Harlem, parts of Manhattan, and the Bronx. One of Giuseppe Morello's strongest allies was Ignazio "the Wolf" Lupo, a mobster who controlled Little Italy, Manhattan. In 1903, Lupo married Morello's half sister, uniting both organizations. The Morello-Lupo alliance continued to prosper in 1903, when the group began a major counterfeiting ring with powerful Sicilian Mafioso Don Vito Cascio Ferro, printing $5 bills in Sicily and smuggling them into the United States. New York City Police detective Joseph Petrosino began investigating the Morello family's counterfeiting operation, the barrel murders and the black hand extortion letters. On November 15, 1909 Giuseppe Morello, Ignazio Lupo and others were arrested on counterfeiting charges. In February 1910, Morello and Lupo were sentenced to 30 years in prison. As the Morello family increased in power and influence, bloody territorial conflicts arose with other Italian criminal gangs in New York. The Morellos had an alliance with Giosue Gallucci, a prominent East Harlem businessman and Camorrista with local political connections. On May 17, 1915 Gallucci was murdered in a power struggle between the Morellos and the Neapolitan Camorra organization, which consisted of two Brooklyn gangs run by Pellegrino Morano and Alessandro Vollero. The fight over Gallucci's rackets became known as the Mafia-Camorra War. After months of fighting, Camorra boss Morano offered a truce to end the fighting. A meeting was arranged at a Navy Street cafe owned by Alessandro Vollero. On September 7, 1916 upon arriving, Nicholas "Nick" Morello and his bodyguard Charles Ubriaco were ambushed by five members of the Brooklyn Camorra group and killed. In 1917, Morano was charged with Morello's murder after Camorrista Ralph Daniello implicated him in the murder. By 1918, law enforcement had sent many Camorra gang members to prison, decimating the Camorra in New York and ending the war. Many of the remaining Brooklyn Camorra gang members joined the Morello family. The Morellos now faced stronger rivals than the Camorra. With the passage of Prohibition in 1919 and the outlawing of alcohol sales, the Morello family regrouped and built a lucrative bootlegging operation in Manhattan. In 1920, both Giuseppe Morello and Ignazio Lupo were released from prison and Brooklyn Mafia boss Salvatore D'Aquila ordered their murders. This is when Joseph Masseria and Rocco Valenti, a former Brooklyn Camorra began to fight for control of the Morello family. On December 29, 1920 Masseria's men murdered Valenti's ally, Salvatore Mauro. Then on May 8, 1922, the Valenti gang murdered Vincenzo Terranova. Masseria's gang retaliated killing Silva Tagliagamba (a member of the Morello family). On August 11, 1922, Masseria's men murdered Valenti ending the conflict. Masseria won and essentially took over the Morello family. During the mid-1920s, Masseria continued to expand his bootlegging, extortion, loansharking, and illegal gambling rackets throughout New York. To operate and protect these rackets, Massaria recruited many ambitious young mobsters. These mobsters included future Cosa Nostra powers Charles "Lucky" Luciano, Frank Costello, Joseph "Joey A" Adonis, Vito Genovese, and Albert Anastasia. Masseria was willing to take all Italian-American recruits, no matter where they had originated in Italy. Masseria's strongest rival in New York was Salvatore Maranzano, leader of the Castellammare del Golfo Sicilian organization in Brooklyn. A recent arrival from Sicily, Maranzano had strong support from elements of the Sicilian Mafia and was a traditionalist mafiosi. He recruited Sicilian mobsters only, preferably from the Castellammarese clan. Maranzano's top lieutenants included future family bosses Joseph "Joe Bananas" Bonanno, Joseph Profaci, and Stefano Magaddino. By 1928, the Castellammarese War between Masseria and Maranzano had begun. By the late 1920s, more than 60 mobsters on both sides had been murdered. On April 15, 1931, Masseria was murdered in a Coney Island, Brooklyn, restaurant, reportedly by members of Luciano's crew. Angry over broken promises from Masseria, Luciano had secretly conspired with Maranzano to plot Masseria's assassination. On the day of the murder, Luciano was allegedly eating dinner with Masseria at a restaurant. After Luciano went to the restroom, his hitmen arrived and murdered Masseria. With Masseria's death, the Castellamarese War had ended. Now in control of New York, Maranzano took several important steps to solidify his victory. He reorganized the Italian-American gangs of New York into five new families, structured after the hierarchical and highly disciplined Mafia families of Sicily. Maranzano's second big change was to appoint himself as the boss of all the families. As part of this reorganization, Maranzano designated Luciano as boss of the old Morello/Masseria family. However, Luciano and other mob leaders privately objected to Maranzano's dictatorial role. Maranzano soon found out about Luciano's discontent and ordered his assassination. Discovering that he was in danger, Luciano plotted Maranzano's assassination with Maranzano trustee Gaetano "Tommy" Lucchese. On September 10, 1931, Jewish gangsters provided by Luciano ally Meyer Lansky shot and stabbed Maranzano to death in his Manhattan office. Luciano was now the most powerful mobster in the United States. After Maranzano's murder, Luciano created a new governing body for the Cosa Nostra families, the Commission. The Commission consisted of representatives from each of the Five Families, the Chicago Outfit and the Magaddino crime family of Buffalo, New York. Luciano wanted the Commission to mediate disputes between the families and prevent future gang wars. Although nominally a democratic body, Luciano and his allies actually controlled the Commission throughout the 1930s. As head of the new Luciano family, Luciano appointed Vito Genovese as his underboss, or second in command, and Frank Costello as his consigliere, or advisor. With the new structure in place, the five New York families would enjoy several decades of peace and growth. In 1935, Luciano was indicted on pandering charges by New York district attorney Thomas Dewey. He was accused of being one of the ringleaders of "the Combination," a major prostitution ring. During the trial, Luciano made a tactical mistake in taking the witness stand, where the prosecutor interrogated him for five hours about how he made his living. In 1936, Luciano was convicted and sentenced to 30 to 50 years in prison. Many observers believed that Luciano would never have directly involved himself with prostitutes, and that the case was fraudulent. Given Luciano's strong belief in secrecy, it would have been significantly out of character for him to be directly involved in any criminal operation, let alone a prostitution ring. Indeed, at least two of Luciano's contemporaries denied that he was ever involved. In her memoirs, New York society madam Polly Adler wrote that she would have known if Luciano was involved with "the Combination." Likewise, Bonnano—the last surviving contemporary of Luciano who wasn't in prison—denied Luciano was involved in the scheme in his book, A Man Of Honor. Although in prison, Luciano continued to run his crime family. His underboss Genovese now supervised the day-to-day family activities. In 1937, Genovese was indicted on murder charges and fled the country to Italy. After Genovese's departure, Costello became the new acting boss of the Luciano family. During World War II, federal agents asked Luciano for help in preventing enemy sabotage on the New York waterfront and other activities. Luciano agreed to help, but in reality provided insignificant assistance to the allied cause. After the end of the war, the arrangement with Luciano became public knowledge. To prevent further embarrassment, the government agreed to deport Luciano on condition that he never return to the United States. In 1946, Luciano was taken from prison and deported to Italy, never to return to the United States. Costello became the effective boss of the Luciano family. 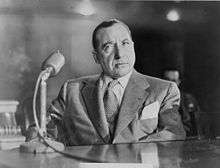 Frank Costello at the Kefauver hearings. During the reign of Frank Costello, the Luciano family controlled much of the bookmaking, loansharking, illegal gambling and labor racketeering activities in New York City. Costello wanted to increase the family involvement in lucrative financial schemes; he was less interested in low grossing criminal activities that relied on brutality and intimidation. Costello believed in diplomacy and discipline, and in diversifying family interests. Nicknamed "The Prime Minister of the Underworld", Costello controlled much of the New York waterfront and had tremendous political connections. It was said that no state judge could be appointed in any case without Costello's consent. During the 1940s, Costello allowed Luciano associates Meyer Lansky and Benjamin "Bugsy" Siegel to expand the family business in Southern California and build the first modern casino resort in Las Vegas. When Siegel failed to open the resort on time, his mob investors allegedly sanctioned his murder. While serving as boss of the Luciano family in the 1950s, Costello suffered from depression and panic attacks. During this period Costello sought help from a psychiatrist, who advised him to distance himself from old associates such as Genovese and spend more time with politicians. In the early 1950s, U.S. Senator Estes Kefauver of Tennessee began investigating organized crime in New York in the Kefauver hearings. The Committee summoned numerous mobsters to testify, but they refused to answer questions at the hearings. The mobsters uniformly cited the Fifth Amendment of the U.S. Constitution, a legal protection against self-incrimination. However, when Costello was summoned, he agreed to answer questions at the hearings and not take the Fifth Amendment. As part of the agreement to testify, the Special Committee and the U.S. television networks agreed not to broadcast Costello's face. During the questioning, Costello nervously refused to answer certain questions and skirted around others. When the Committee asked Costello, "What have you done for your country Mr. Costello? ", he famously replied, "Paid my tax!". The TV cameras, unable to show Costello's face, instead focused on his hands, which Costello wrung nervously while answering questions. Costello eventually walked out of the hearings. Costello ruled for 20 peaceful years, but that quiet reign ended when Genovese was extradited from Italy to New York. During his absence, Costello demoted Genovese from underboss to capo and Genovese determined to take control of the family. Soon after his arrival in the United States, Genovese was acquitted of the 1936 murder charge that had driven him into exile. Free of legal entanglements, Genovese started plotting against Costello with the assistance of Mangano crime family underboss Carlo Gambino. On May 2, 1957, Luciano family mobster Vincent "Chin" Gigante shot Costello in the side of the head on a public street; however, Costello survived the attack. Months later, Mangano family boss Albert Anastasia, a powerful ally of Costello, was murdered by Gambino's gunmen. With Anastasia's death, Gambino seized control of the Mangano family. Feeling afraid and isolated after the shootings, Costello quietly retired and surrendered control of the Luciano family to Genovese. Having taken control of what was now the Genovese crime family in 1957, Vito Genovese decided to organize a Cosa Nostra conference to legitimize his new position. Held on mobster Joseph Barbara's farm in Apalachin, New York, the Apalachin Meeting attracted over 100 Cosa Nostra mobsters from around the nation. However, local law enforcement discovered the meeting by chance and quickly surrounded the farm. As the meeting broke up, Genovese escaped capture by running through the woods. However, many other high-ranking mobsters were arrested. Cosa Nostra leaders were chagrined by the public exposure and bad publicity from the Apalachin meeting, and generally blamed Genovese for the fiasco. Wary of Genovese gaining more power in the Mafia Commission, Gambino used the abortive Apalachin Meeting as an excuse to move against his former ally. Gambino, former Genovese bosses Lucky Luciano and Frank Costello, and Lucchese crime family boss Tommy Lucchese allegedly lured Genovese into a drug distribution scheme that ultimately resulted in his conspiracy indictment and conviction. In 1959, Genovese was sentenced to 15 years in prison on narcotics charges. Genovese, who was the most powerful boss in New York, had been effectively eliminated as a rival by Gambino. Genovese would later die in prison. Joseph Valachi during the McClellan Hearings 1963. The Genovese family was soon rocked by a second public embarrassment: the United States Senate McClellan Hearings. While incarcerated at a federal prison in Atlanta, Genovese soldier Joseph "Joe Cargo" Valachi believed he was being targeted for murder by the mob on the suspicion that he was an informer. On June 22, 1962, Valachi brutally murdered another inmate with a pipe. Valachi told investigators that he thought the victim was Joseph "Joe Beck" DiPalermo, a Lucchese soldier coming to kill him. To avoid a capital murder trial, Valachi agreed to cooperate with federal prosecutors against the Genovese family. He thus became the first Cosa Nostra mobster to publicly affirm the organization's existence. With information from prosecutors, the low-level Valachi was able to testify in nationally televised hearings about the Cosa Nostra's influence over legal enterprises in aid of racketeering and other criminal activities to make huge profit. Valachi also introduced the name "Cosa Nostra" as a household name. Although Valachi's testimony never led to any convictions, it helped law enforcement by identifying many members of the Genovese and other New York families. After Genovese was sent to prison in 1959, the family leadership secretly established a "Ruling Panel" to run the family in Genovese's absence. This first panel included acting boss Thomas "Tommy Ryan" Eboli, underboss Gerardo "Jerry" Catena, and Catena's protégé Philip "Benny Squint" Lombardo. After Genovese died in 1969, Lombardo was named his successor. However, the family appointed a series of "front bosses" to masquerade as the official family boss. The aim of these deceptions was to protect Lombardo by confusing law enforcement about who was the true leader of the family. In the late 1960s, Gambino boss Carlo Gambino loaned $4 million to Eboli for a drug scheme in an attempt to gain control of the Genovese family. When Eboli failed to pay back his debt, Gambino, with Commission approval, murdered Eboli in 1972. After Eboli's death, Genovese capo and Gambino ally Frank "Funzi" Tieri was appointed as the new front boss. In reality, the Genovese family created a new ruling panel to run the family. This second panel consisted of Catena, Michele "Big Mike" Miranda, and Lombardo. In 1981, Tieri became the first Cosa Nostra boss to be convicted under the new Racketeer Influenced and Corrupt Organizations Act (RICO). In 1981, Tieri died in prison. After Tieri went to prison in 1981, the Genovese family reshuffled its leadership. The capo of the Manhattan faction, Anthony Salerno ("Fat Tony"), became the new front boss. Lombardo, the de facto boss of the family, retired and Vincent "Chin" Gigante, the triggerman on the failed Costello hit, took actual control of the family. In 1985, Salerno was convicted in the Mafia Commission Trial and sentenced to 100 years in federal prison. Shortly after the trial, Salerno's longtime right-hand man, Vincent "The Fish" Cafaro, revealed to the FBI that Salerno had never really been the boss, but was merely window dressing for Gigante. He also revealed that the Genoveses had been keeping up this ruse since 1969. However, Salerno had been convicted of specific acts and not merely of being a boss, so this disclosure would not have endangered his conviction. Even if that conviction had been overturned, he had been sentenced to 70 years in prison in a separate RICO case—meaning that he would have died in prison in any event. After the 1980 murder of Philadelphia crime family boss Angelo "Gentle Don" Bruno, Gigante and Lombardo began manipulating the rival factions in the war-torn Philadelphia family. Gigante and Lombardo finally gave their support to Philadelphia mobster Nicodemo "Little Nicky" Scarfo, who in return gave the Genovese mobsters permission to operate in Atlantic City in 1982. FBI mugshot of Vincent Gigante in his bathrobe. Gigante was even more concerned about keeping law enforcement at bay than Lombardo had been. His best-known tactic to confuse law enforcement was by pretending insanity. Gigante frequently walked down New York streets in a bathrobe, mumbling incoherently. Gigante succeeded in convincing court-appointed psychiatrists that his mental illness was worsening, and avoided several criminal prosecutions. The New York media soon nicknamed Gigante "The Oddfather". Gigante reportedly operated from the Triangle Social Club in Greenwich Village in Manhattan. He never left his house during the day, fearing that the FBI would sneak in and plant a bug. At night, he would sneak away from his house and conduct family business when FBI surveillance was more lax. Even then, he only whispered to keep from being picked up by wiretaps. To avoid incrimination from undercover surveillance, Gigante decreed that any mobster who spoke his name would face severe punishment. In the case of his own family, anyone who spoke his name would be killed on the spot. When necessary, mobsters would either point to their chins or make a "C" with thumb and forefinger when referring to him. In this way, Gigante managed to stay on the streets while the city's other four bosses ended up getting long prison terms. Another evasive measure Gigante used from 1992 onward was a reformed "administration" structure. Gigante was unnerved by Salerno's conviction and long sentence, and decided he needed greater protection. However, the "front boss" ruse no longer protected him. To solve this problem, Gigante instituted two new posts, the "street boss" and the "messenger." The street boss ran the family's day-to-day operations under Gigante's remote direction. The messenger delivered Gigante's instructions to his capos and soldiers. As a result of these changes, Gigante did not directly communicate with other family mobsters, with the exception of his sons, Vincent Esposito and Andrew Gigante, and a few other close associates. While the public and media were watching Gigante, other family leaders were running the day-to-day operations of the family. 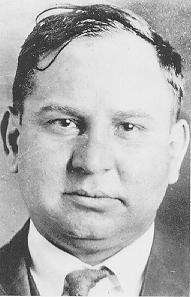 Underboss Venero "Benny Eggs" Mangano operated out of Brooklyn and ran the family's Windows Case rackets. Consigliere Louis "Bobby" Manna operated out of New Jersey and supervised four capos around that area during the 1980s. In 1985, Gigante and other family bosses were shocked and enraged by the murder of Paul Castellano, the Gambino family boss. An ambitious Gambino capo, John Gotti, had capitalized on discontent in that family to murder Castellano and his underboss outside a Manhattan restaurant and become the new Gambino boss. Gotti had violated Cosa Nostra protocol by failing to obtain prior approval for the murder from The Commission. As mentioned above, Gigante had been the triggerman on the last unsanctioned hit on a boss—the hit on Costello. With Castellano dead, Gigante now controlled the Commission and he decided to kill Gotti. Gigante and Lucchese crime family boss Vittorio "Vic" Amuso and underboss Anthony "Gaspipe" Casso hatched a scheme to kill Gotti with a car bomb. On April 13, 1986, a bomb exploded in Gambino underboss Frank DeCicco's car, killing DeCicco. However, Gotti was not in DiCicco's car that day and escaped harm. Although Gigante eventually made peace with Gotti, he remained the most powerful boss in New York. The Genovese family dominated construction and union rackets, gambling rackets, and operations at the Fulton Fish Market and the waterfront operations. During this period, Gigante used intimidation and murder to maintain control of the family. During the early 1990s, law enforcement used several high-profile government informants and witnesses to finally put Gigante in prison. Faced with criminal prosecution, in 1992 Gambino underboss Salvatore "Sammy the Bull" Gravano agreed to testify against Gotti and other Cosa Nostra leaders, including Gigante. Philadelphia crime family underboss Phil Leonetti also became a government witness and testified that during the 1980s, Gigante had ordered the murders of several Philadelphia associates. Finally, Lucchese underboss Anthony Casso implicated Gigante in the 1986 plan to kill John Gotti, Frank DeCicco and Eugene "Gene" Gotti. While in prison, Gigante was recorded as saying that he'd feigned insanity for 40 years. In 1997, Gigante was convicted on racketeering and conspiracy charges and sentenced to 12 years in federal prison. While Gigante was in prison, the Genovese family was run by acting boss Matthew "Matty the Horse" Ianniello, he received help from capos Ernest Muscarella, Dominick Cirillo, and Gigante's brother Mario. 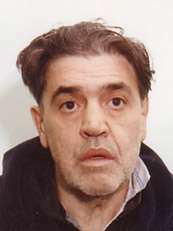 Gigante was indicted in 2002 for running his family from prison and for delaying his initial trial by feigning insanity. Prosecutors also obtained evidence that he'd used his son, Andrew, to deliver instructions to his soldiers and had enlisted several members of his family to keep up the charade that he was insane. Had he been convicted, Gigante faced an additional 20 years in prison, which at his age would have effectively been a life sentence. Rather than risk having his relatives charged with obstruction of justice, Gigante pleaded guilty in April 2003 and accepted an additional three years in prison. On December 19, 2005, Gigante died in prison from heart disease. Since the 1990s, infamous mobsters in top positions of the other Five Families of NYC have become informants and testified against many mobsters, putting bosses, capos, and soldiers into prison. The most prominent government witness was Bonanno crime family boss Joseph "Big Joe" Massino, who started cooperating in 2005. Genovese underboss Venero "Benny Eggs" Mangano, consigliere Louis "Bobby" Manna, capo James Ida ("Little Jimmy") and street boss Liborio "Barney" Bellomo received lengthy prison sentences on murder, racketeering and conspiracy convictions. During the last decades, US law enforcement systematically broke down the Genovese crime family, as well as the other Mafia families. Despite these indictments the Genovese family remains a formidable power with approximately 250 made men and 14 active crews as of 2005, according to Selwyn Raab. When Vincent Gigante died in late 2005, the leadership went to Genovese capo Daniel "Danny the Lion" Leo, who was apparently running the day-to-day activities of the Genovese crime family by 2006. In 2006, Genovese underboss and former Gigante loyalist, Venero "Benny Eggs" Mangano was released from prison. That same year, former Gigante loyalist and prominent capo Dominick Cirillo was allegedly promoted to consigliere in prison. By 2008, the Genovese family administration was believed to be whole again. In March 2008, Leo was sentenced to five years in prison for loansharking and extortion. Underboss Venero Mangano is reportedly one of the top leaders within the Manhattan faction of the Genovese crime family. Former acting consigliere Lawrence "Little Larry" Dentico was leading the New Jersey faction of the family until convicted of racketeering in 2006. Dentico was released from prison in 2009. In December 2008, one-time Gigante street boss Liborio "Barney" Bellomo was paroled from prison after serving 12 years. What role Bellomo plays in the Genovese hierarchy is open to speculation, but he is likely to have a major say in the running of the family once his tight parole restrictions are over. A March 2009 article in the New York Post claimed Daniel Leo was still acting boss despite his incarceration. It also estimated that the family consists of approximately 270 "made" members. The Genovese family maintains power and influence in New York, New Jersey, Atlantic City and Florida. It is recognized as the most powerful Cosa Nostra family in the United States. Since Gigante's reign, the Genovese family has been so strong and successful because of its continued devotion to secrecy. According to the FBI, many family associates don't know the names of family leaders or even other associates. This information lockdown makes it more difficult for the FBI to gain incriminating information from government informants. According to the FBI, the Genovese family has not had an official boss since Gigante's death. Law enforcement considers Leo to be the acting boss, Mangano the underboss, and Cirillo the consigliere. The Genovese family is known for placing top caporegimes in leadership positions to help the administration run the day-to-day activities of the crime family. At present, capos Bellomo, Ernest Muscarella, Cirillo, and Dentico hold the greatest influence within the family and play major roles in its administration. The Manhattan and Bronx factions, the traditional powers in the family, still exercise that control today. The position of "front boss" was created by boss Philip Lombardo in efforts to divert law enforcement attention from himself. The family maintained this "front boss" deception for the next 20 years. Even after government witness Vincent Cafaro exposed this scam in 1988, the Genovese family still found this way of dividing authority useful. In 1992, the family revived the front boss post under the title of "street boss." This person served as day-to-day head of the family's operations under Gigante's remote direction. 1957–1972 — Gerardo "Jerry" Catena — also boss of the New Jersey faction; jailed from 1970 to 1972. Messaggero – The messaggero (messenger) functions as liaison between crime families. The messenger can reduce the need for sit-downs, or meetings, of the mob hierarchy, and thus limit the public exposure of the bosses. 1957–1969 — Michael "Mike" Genovese — the brother of Vito Genovese. If the official boss dies, goes to prison, or is incapacitated, the family may assemble a ruling committee of capos to help the acting boss, street boss, underboss, and consigliere run the family, and to divert attention from law enforcement. 2005–2010 — (three-man committee) — Tino "The Greek" Fiumara (died 2010) the other two are unknown. Underboss Venero "Benny Eggs" Mangano - became underboss in 1986 under boss Vincent Gigante. In 1991, Mangano was convicted in the 1991 "Windows Case" on extortion charges and attempting to manipulate the bidding process of window replacements within municipal housing projects; he was sentenced to 15 years in prison. Mangano was released from prison in November 2006. Consigliere Dominick "Quiet Dom" Cirillo - former capo and trusted aide to boss Vincent Gigante. Cirillo belonged to the West Side Crew and was known as one of the Four Doms; capos Dominick "Baldy Dom" Canterino, Dominick "The Sailor" DiQuarto and Dominick "Fat Dom" Alongi. Cirillo served as acting boss from 1997 to 1998, but resigned due to heart problems. In 2003, Cirillo became acting boss, resigned in 2006 due to his imprisonment on loansharking charges. In August 2008, Cirillo was released from prison. Daniel "Danny the Lion" Leo - a former member of the Purple Gang of East Harlem in the 1970s. In the late 1990s, Leo joined Vincent Gigante's circle of trusted capos. With Gigante's death in 2005, Leo became acting boss. In 2008, Leo was sentenced to five years in prison on loansharking and extortion charges. In March 2010, Leo received an additional 18 months in prison on racketeering charges and was fined $1.3 million. Leo is currently in a community corrections facility. He was released on January 25, 2013. Liborio "Barney" Bellomo – served as acting boss for Vincent Gigante during the early 1990s. He controls the Manhattan East Harlem and Bronx-based 116th Street Crew. Bellomo was imprisoned in 1996 and was released in July 2008. (Acting) Ernest "Ernie" Muscarella – capo of the 116th Street crew. He served as acting street boss for Vincent Gigante and Dominick Cirillo in 2002 until his racketeering conviction. He was released from prison on December 31, 2007. Joseph "Joe D" Dente, Jr. – capo operating in the Bronx. In December 2001, Dente and capos Rosario Gangi and Pasquale Parrello were indicted in Manhattan on racketeering charges. Dente was released from prison on April 29, 2009. Pasquale "Patsy" Parello – capo operating in the Bronx, he owns a restaurant on Arthur Ave. In 2004, Parello was found guilty of loansharking and embezzlement along with capo Rosario Gangi. Parello was released from prison on April 23, 2008. Dominick "Quiet Dom" Cirillo - former capo and trusted aide to boss Vincent Gigante. Cirillo belonged to the West Side Crew and was known as one of the Four Doms; capos Dominick "Baldy Dom" Canterino, Dominick "The Sailor" DiQuarto and Dominick "Fat Dom" Alongi. Cirillo served as acting boss from 1997 to 1998, but resigned due to heart problems. In 2003, Cirillo became acting boss, resigned in 2006 due to his imprisonment on loansharking charges. In August 2008, Cirillo was released from prison. Conrad Ianniello – capo operating in Manhattan, Brooklyn and Queens. On April 18, 2012 Ianniello was indicted along with members of his crew and was charged with illegal gambling and conspiracy. The conspiracy charge dates back to 2008, when Ianniello along with Robert Scalza and Ryan Ellis tried to extort vendors at the annual Feast of San Gennaro in Little Italy. Conrad Ianniello is related to Robert Ianniello, Jr., who is the nephew to Matthew Ianniello and the owner of Umberto's Clam House. Rosario "Ross" Gangi – capo operating in Manhattan, Brooklyn, and New Jersey. Gangi was involved in extortion activities at Fulton Fish Market. He was released from prison on August 8, 2008. John "Johnny Sausage" Barbato – capo and former driver of Venero Mangano, he was involved in labor and construction racketeering with capos from the Brooklyn faction. Barbato was imprisoned in 2005 on racketeering and extortion charges, and released in 2008. James "Jimmy from 8th Street" Messera – capo of the Little Italy Crew operating in Manhattan and Brooklyn. In the 1990s, Messera was involved in extorting the Mason Tenders union and was imprisoned on racketeering charges. He was released from prison on December 12, 1995. Alphonse "Allie Shades" Malangone – capo operating from Brooklyn and Manhattan. Malagone was very powerful in the 1990s, controlling gambling, loansharking, waterfront rackets and extorting the Fulton Fish Market. Malangone also controlled several private sanitation companies in Brooklyn through Kings County Trade Waste Association and Greater New York Waste Paper Association. Malagone was arrested in 2000 along with several Genovese and Gambino family members for their activities in the private waste industry. (In prison) Anthony "Tico" Antico – capo involved in labor and construction racketeering in Brooklyn and Manhattan. In 2005, Antico and capos John Barbato and Lawrence Dentico were convicted of extortion charges. In 2007, he was released from prison. On March 6, 2010, Antico was charged with racketeering in connection with the 2008 robbery and murder of Staten Island jeweler Louis Antonelli. He was acquitted of murder charges, but found guilty of racketeering and is currently in prison with a projected release date of June 12, 2018. Albert "Kid Blast" Gallo – capo operating in Brooklyn neighborhoods of Carroll Gardens, Red Hook, and Cobble Hill and parts of Staten Island. In the mid-1970s, Gallo and Frank Illiano transferred from the Gallo crew of the Colombo crime family to the Genovese family. Gallo's co-capo Illiano dead of natural causes in 2014. Charles "Chuckie" Tuzzo – capo operating in Brooklyn and Manhattan. Tuzzo was involved in pump and dump stock schemes with capo Liborio "Barney" Bellomo. Tuzzo and acting street boss Ernest Muscarella infiltrated an International Longshoreman's Association (ILA) local in order to extort waterfront companies operating from New York, New Jersey and Florida. On February 2, 2006, Tuzzo was released from prison after serving several years on racketeering and conspiracy charges. Anthony "Rom" Romanello – capo operating from Corona Avenue in Corona, Queens  Romanello took over Anthony Federici's old crew. In January 2012, he pleaded guilty to illegal gambling after the cooperating witness died from a heart attack before testifying in the case. The Genovese crime family is operating in New Jersey with five crews. (Acting) Stephen Depiro – was the last acting capo of the "Fiumara crew". Depiro was overseeing the illegal operations in the New Jersey Newark/Elizabeth Seaport before Fiumara's death in 2010. It is unknown if Depiro still holds this position. Joseph N. LaScala – capo operating from Hudson County waterfronts citys of Bayonne and Jersey City. LaScala had been Angelo Prisco's acting capo before he took over the crew. In May 2012, LaScala and other members of his crew were arrested and charged with illegal gambling in Bayonne. Ludwig "Ninni" Bruschi – capo operating in South Jersey Counties of Ocean, Monmouth, Middlesex, and North Jersey Counties of Hudson, Essex, Passaic and Union. Bruschi was indicted in June 2003 and paroled in April 2010. Michael "Mikey Cigars" Coppola - although he is currently imprisoned, Coppola is still seen by law enforcement and experts as a leading captain in the New Jersey faction. He is currently serving his time at the United States Penitentiary, Atlanta for two counts of racketeering and his projected release date is March 4, 2024. Silvio P. DeVita – Sicilian born capo operating in Essex County. He is currently believed to be controlling Newark. He has prior convictions of first-degree murder, robbery and several other offenses. DeVita has also been excluded from visiting any casino in New Jersey. Lawrence "Little Larry" Dentico – capo operating in South Jersey and Philadelphia. Dentico was acting consigliere from 2003 through 2005, when he was imprisoned on extortion, loansharking and racketeering charges. He was released from prison on May 12, 2009. Salvatore "Sammy Meatballs" Aparo – a former acting capo. His son Vincent is also a made member of the Genovese family. In 2000, Aparo, his son Vincent, and Genovese associate Michael D'Urso met with Abraham Weider, the owner an apartment complex in Flatbush, Brooklyn. Weider wanted to get rid of the custodians union (SEIU Local 32B-J) and was willing to pay Aparo $600,000, but Aparo's associate D'Urso was an FBI informant and had recorded the meeting. In October 2002, Aparo was sentenced to five years in federal prison for racketeering. On May 25, 2006, Aparo was released from prison. Ralph Anthony "the Undertaker" Balsamo (born in 1971) – a soldier  operating in the Bronx and Westchester. Balsamo pleaded guilty in 2007 to narcotics trafficking, firearms trafficking, extortion, and union-related fraud and was sentenced to 97 months in prison. He was released from prison on March 8, 2013. Louis DiNapoli – soldier with his brother Vincent DiNapoli's 116th Street crew. Vincent "Vinny" DiNapoli – soldier and former capo with the 116th Street Crew. DiNapol is heavily involved in labor racketeering and has reportedly earned millions of dollars from extortion, bid rigging and loansharking rackets. DiNapoli dominated the N.Y.C. District Council of Carpenters and used them to extort other contractors in New York. DiNapoli's brother, Joseph DiNapoli, is a powerful capo in the Lucchese crime family. Anthony "Tough Tony" Federici – former capo in the Queens. Federici is the owner of a restaurant in Corona, Queens. In 2004, Federici was honored by Queens Borough President Helen Marshall for his community service. Federici has since passed on his illicit mob activities to Anthony Romanello. John "Little John" Giglio (April 11, 1958) – also known as "Johnny Bull" is a soldier involved in loansharking. Federico "Fritzy" Giovanelli – soldier who was heavily involved in loansharking, illegal gambling and bookmaking in the Queens/Brooklyn area. Giovanelli was charged with the January 1986 killing of Anthony Venditti, an undercover NYPD detective, but was eventually acquitted. One known soldier in Giovanelli's crew was Frank "Frankie California" Condo. In 2001, Giovanelli worked with soldier Ernest "Junior" Varacalli in a car theft ring. Alan "Baldie" Longo – former acting capo of the Malangone crew, he was involved in stock fraud and white-collar crimes in Manhattan and Brooklyn. He was imprisoned on loansharking and racketeering charges, sentenced to 11 years, released in June 2010. Joseph Olivieri – soldier, operating in the 116th Street Crew under capo Louis Moscatiello. Olivieri has been involved in extorting carpenters unions and is tied to labor racketeer Vincent DiNapoli. He was convicted of perjury and was released from Philadelphia CCM on January 13, 2011. Daniel "Danny" Pagano – former acting capo of the Westchester County–Rockland County crew. Pagano was involved in the 1980s bootleg gasoline scheme with Russian mobsters. In 2007, Pagano was released after serving 105 months in prison. In 2015, sentenced to 2 years in prison on racketeering conspiracy charges. Ciro Perrone – a former capo. In 1998, Perrone was promoted to captain taking over Matthew Ianniello's old crew. In July 2005, Perrone along with Ianniello and other members of his crew were indicted on extortion, loansharking, labor racketeering and illegal gambling. In 2008, Perrone was sentenced to five years for racketeering and loan sharking. Perrone ran his crew from a social club and Don Peppe's restaurant in Ozone Park, Queens. In 2009, Perrone lost his retrial and was sentenced to five years for racketeering and loan sharking. Perrone was released from prison on October 14, 2011. Perrone died in 2011. Charles Salzano – a soldier released from prison in 2009 after serving 37 months on loan sharking charges. Joseph Zito – soldier in the Manhattan faction (the West Side Crew) under capo Rosario Gangi. Zito was involved in bookmaking and loansharking business. Law enforcement labeled Zito as acting underboss from 1997 through 2003, but he was probably just a top lieutenant under official underboss Venero "Benny Eggs" Mangano. In the mid-1990s, Zito frequently visited Mangano in prison after his conviction in the Windows Case. Zito relayed messages from Mangano to the rest of the family leadership. Anthony "Tony D." Palumbo – is a former acting capo in the New Jersey faction. Palumbo was promoted acting boss of the New Jersey faction by close ally and acting boss Daniel "Danny the Lion" Leo. In 2009, Palumbo was arrested and charged with racketeering and murder along Daniel Leo and others. In August 2010 Palumbo pleaded guilty to conspiracy murder charges. He was sentenced to 10 years in prison and his projected release date is November 22, 2019. Frankie "Frankie Ariana" DiMattina – an associate convicted January 6, 2014 on extortion and a firearms charge and sentenced to 6 years in prison. The Genovese family operates primarily in the New York City area; their main rackets are illegal gambling and labor racketeering. New York City - The Genovese family operates in all five boroughs of New York as well as in Suffolk, Westchester, Rockland, and Orange Counties in the New York suburbs. The family controls many businesses in the construction, trucking and waste hauling industries. It also operates numerous illegal gambling, loansharking, extortion, and insurance rackets. Small Genovese crews or individuals have operated in Albany, Delaware County, and Utica. The Buffalo, Rochester and Utica crime families or factions traditionally controlled these areas. The family also controls gambling in Saratoga Springs. Connecticut - The Genovese family has long operated trucking and waste hauling rackets in New Haven, Connecticut. In 2006, Genovese acting boss Matthew "Matty the Horse" Ianniello was indicted for trash hauling rackets in New Haven and Westchester County, New York. In 1981, Gustave "Gus" Curcio and his brother were indicted for the murder of Frank Piccolo, a member of the Gambino crime family. Massachusetts - Springfield, Massachusetts has been a Genovese territory since the family's earliest days. The most influential Genovese leaders from Springfield were Salvatore "Big Nose Sam" Curfari, Francesco "Frankie Skyball" Scibelli, Adolfo "Big Al" Bruno, and Anthony Arillotta (turned informant 2009). In Worcester, Massachusetts, the most influential capos were Frank Iaconi and Carlo Mastrototaro. In Boston, Massachusetts, the New England or Patriarca crime family from Providence, Rhode Island has long dominated the North End of Boston, but has been aligned with the Genovese family since the Prohibition era. In 2010, the FBI convinced Genovese mobsters Anthony Arillotta and Felix L. Tranghese to become government witnesses. They represent only the fourth and fifth Genovese made men to have cooperated with law enforcement. The government used Arillotta and Tranghese to prosecute capo Arthur "Artie" Nigro and his associates for the murder of Adolfo "Big Al" Bruno. Dominick "Fat Dom" Alongi – former member of Vincent Gigante's Greenwich Village Crew. Dominick "Dom The Sailor" DiQuarto – former member of Vincent Gigante's Greenwich Village Crew. 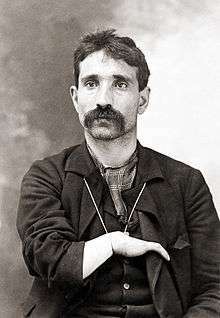 Giuseppe Fanaro - was a member of the Morello family, who was involved in the Barrel murder of 1903. In November 1913, Fanaro was murdered by members of the Lomonte and Alfred Mineo's gangs. Rosario "Saro" Mogavero - A hitman by the age of 15, Mogavero was a powerful capo and close ally of Vito Genovese. He was the vice president of the International Longshoreman's Association until his arrest for extortion and drug dealing in 1953. Mogavero controlled gambling, loan sharking and drug smuggling along the Lower East Side of Manhattan waterfront in the 1950s and 1960s along with Tommy "Ryan" Eboli, Michael Clemente and Carmine "The Snake" Persico. Eugene "Charles" Ubriaco - was a member of the Morello family, he lived on East 114th Street. Ubriaco was arrested in June 1915 for carrying a revolver and was released on bail. On September 7, 1916 Ubriaco along with Nicholas Morello meet with the Navy Street gang in Brooklyn and they both were shot to death on Johson Street in Brooklyn. 1 2 3 Marzulli, John (July 1, 2009). "Mobster 'Mikey Cigars' Coppola won't rat out pals in Genovese crew". New York Daily News. Retrieved 17 April 2012. 1 2 Cohen, Stefanie (October 18, 2009). "City's main mob power". New York Post. Archived from the original on June 6, 2011. ↑ Raab, Selwyn (1995-09-03). "With Gotti Away, the Genoveses Succeed the Leaderless Gambinos". Nytimes.com. Retrieved 2010-03-12. ↑ Claffey, Mike (January 28, 2002). "SNITCH STOLE 3 YEARS OF MOB SECRETS". New York Daily News. Retrieved 17 April 2012. ↑ Smith, Greg B. (August 12, 2001). "GENOVESE FAMILY KEEPS ITS CHIN UP Gigante becomes top don as Gotti fades". New York Daily News. Retrieved 17 April 2012. 1 2 "Rick Porrello's American Mafia.com". Americanmafia.com. Retrieved 2012-04-24. ↑ New York Magazine (pg.33) July 17, 1972. Books.google.com. 1972-07-17. Retrieved 2012-04-24. ↑ Robert Nardoza (April 5, 2005). "Genovese Family Acting Boss Dominick "Quiet Dom" Cirillo and Three Captains Indicted for Racketeering". The United States Attorney's Office, Eastern District of New York. Retrieved June 8, 2013. ↑ "Reputed acting crime boss pleads guilty to racketeering charges". NorthJersey.com. 2010-01-27. Retrieved 2010-03-12. ↑ Indictments Name 73 Linked to the Genovese Crime Family By Robert F. Worth. December 6, 2001. New York Times. ↑ McPhee, Michele (January 13, 2004). "BIG FRANKIE'S VEGAS STING Cop posed as wiseguy to probe fight-fixing". New York Daily News. Retrieved 17 April 2012. 1 2 Feuer, Alan (April 18, 2012). "Officials Say a Little Italy Tradition Is Back: The Mob at San Gennaro". New York Times. Retrieved July 31, 2012. ↑ "Eleven Individuals, Including Members and Associates of the Genovese Organized Crime Family Indicted Charges Include Racketeering Conspiracy, Extortion, Illegal Gambling, Union Embezzlement and Obstruction of Justice". District Attorney's Office Eastern District of New York. April 18, 2012. Retrieved July 31, 2012. ↑ Capeci, Jerry (December 7, 2006). "Smoking Ban Sets Off Brawl Among Wiseguys". New York Sun. Retrieved July 31, 2012. ↑ Corruption Haunts Laborers International Union 1998. ↑ "James Messera". Bureau of Prisons Inmate Locator. Retrieved 18 March 2012. ↑ "Anthony Antico". Bureau of Prisons Inmate Locator. Retrieved 18 March 2012. ↑ LONGSHOREMEN (ILA) / TEAMSTERS (IBT) / CARPENTERS (UBC) Longshore Union Allegedly Infiltrated by Genovese UNION CORRUPTION UPDATE - February 4, 2002 -- Vol. 5, Issue 3, National Legal and Policy Center -- Organized Labor Accountability Project Archived index at the Wayback Machine. 1 2 3 Marzulli, John (January 10, 2012). "Genovese wiseguy Anthony Romanello lucks out, cops to gambling rap with feds Faced more serious gun count, but witness' death leads to reduced charges, permission to hang with mobbed-up Parkside Restaurant pal". New York Daily News. Retrieved July 31, 2012. ↑ "Waste And Abuse" (PDF). Retrieved 2010-03-12. ↑ McNab, Matthew (May 23, 2012). "Feds charge 4 Bayonne men, 10 others with mob-run online betting operation". The Jersey Journal. Retrieved May 29, 2012. ↑ "Alleged genovese organized crime family member and associates among 14 charged in racketeering conspiracy". District Attorney's Office of New Jersey. May 22, 2012. Retrieved May 29, 2012. ↑ "State of New Jersey Inmate Finder". .state.nj.us. Retrieved 2012-04-24. ↑ "Mobster Michael 'Mikey Cigars' Coppola beats murder rap". John Marzulli. The New York Daily News. July 21, 2009. Retrieved 13 May 2016. ↑ "Silvio P. DeVita". State of New Jersey. Attorney General State of New Jersey. Retrieved 13 May 2016. ↑ Marzulli, John (November 19, 2002). "MOB MONEY LAUNDERER WASHED UP". New York Daily News. Retrieved 17 April 2012. ↑ Marzulli, John (October 11, 2002). "SWAT OLDFELLA IN RACKETS WITH 5 YEARS". New York Daily News. Retrieved 17 April 2012. ↑ "Federal Bureau of Prisons: Inmate Locator "Salvatore Aparo"". Bop.gov. 2006-05-25. Retrieved 2012-04-24. ↑ Ross, Barbara (August 27, 2008). "Wiseguy pleads guilty in Bronx racket". New York Daily News. Retrieved 17 April 2012. 1 2 "The Law News Network". LawFuel. Retrieved 2012-04-24. ↑ PLASTERERS Union Racketeer Sentenced in NY Fed. Court UNION CORRUPTION UPDATE - January 31, 2005 -- Vol. 8, Issue 3, National Legal and Policy Center -- Organized Labor Accountability Project Archived index at the Wayback Machine. ↑ "Genovese Family Soldier and 7 Genovese and Gambino Family Associates Charged With Racketeering Conspiracy, Loansharking, Extortion, Attempted Obstruction of Justice, Arson, and Murder". PR Newswire. ↑ Kates, Brian.Genovese crime soldier Joseph (Rudy) Olivieri to finger contracting big, prosecutors say. October 19, 2010. New York Daily News. ↑ Kates, Brian (October 28, 2010). "Reputed Genovese soldier Joseph Olivieri found guilty of perjury". New York Daily News. Retrieved 17 April 2012. 1 2 Ryan, Joe (February 4, 2009). "Three N.J. men are among 13 indicted in crackdown on Genovese crime family". The Star-Ledger. Retrieved May 29, 2012. ↑ "U.S. Charges Former Acting Boss and 12 Other Members, Associates of the Genovese Organized Crime Family". Newyork.fbi.gov. February 4, 2009. Retrieved May 29, 2012. ↑ Golding, Bruce (June 15, 2010). "Reputed Genovese capo charged in 1992 murder plot". New York Post. Retrieved May 29, 2012. ↑ Gearty, Robert (August 31, 2010). "Capo Anthony Palumbo takes plea in '92 organized crime hit plot". New York Daily News. Retrieved May 29, 2012. ↑ "Tickle The Wire » Mobster for Genovese Crime Family Gets 10 Years For "Murder Conspiracy" Involving a Hitman for the Russian Mob". ticklethewire.com. Retrieved 1 May 2015. ↑ "Staten Island caterer Frank DiMattina sentenced on extortion, gun convictions". SILive.com. Retrieved 1 May 2015. ↑ "The Day - Google News Archive Search". google.com. Retrieved 1 May 2015. ↑ "Curcio prison term ends today". Connecticut Post. October 29, 2003. ↑ The Republican Photo Desk. "Fotios and Ty Geas, Arthur Nigro found guilty of murder, extortion, attempted murder, racketeering in Al Bruno murder case". masslive.com. Retrieved 2012-04-24. 1 2 Jerry Capeci's Gang Land By Jerry Capeci "Chin's last Dom runs the show"
↑ "Giuseppe Fanaro". gangrule.com. Retrieved 1 May 2015. ↑ Valentine, Douglas (2004). The strength of the wolf : the secret history of America's war on drugs. London: Verso. p. 140. ISBN 1-85984-568-1. ↑ Selvin, Joel (Nov 13, 2012). Peppermint Twist: The Mob, the Music, and the Most Famous Dance Club of the '60s. New York: Macmillan. p. 177. ↑ Valentine, Douglas (2004). The Strength of the Wolf: The Secret History of America's War on Drugs. Verso. p. 140. ↑ "Full text of "Investigation of improper activities in the labor or management field. Hearings before the Select Committee on Improper Activities in the Labor or Management Field"". archive.org. Retrieved 1 May 2015. ↑ "The Montreal Gazette - Google News Archive Search". google.com. Retrieved 1 May 2015. ↑ "Eugene Ubriaco". gangrule.com. Retrieved 1 May 2015. ↑ Barry, Stephanie (May 6, 2013). "New York gangster John Bologna was FBI informant for nearly two decades in midst of the Al Bruno murder plot". The Republican. Retrieved June 8, 2013. ↑ Barry, Stephanie (April 18, 2012). "Mafia turncoat Anthony Arillotta takes witness stand for second day at trial of Emilio Fusco for murder of Al Bruno". The Republican. Retrieved June 8, 2013. ↑ Barry, Stephanie (December 7, 2012). "Felix Tranghese of East Longmeadow gets 4 years in connection with 2003 Al Bruno murder, other crimes". The Republican. Retrieved June 8, 2013. ↑ McMahon, Paula (February 15, 2012). "South Florida mobster's prison sentence cut in half". Sun Sentinel. Retrieved June 8, 2013. "Meet the Genovese Crime Family's New Boss".